Today, I'm pleased to report that, after working with The HSUS, Heinz announced that it will be switching 20 percent of its eggs to cage-free throughout its North American operations by the end of 2015. Heinz produces an enormous array of food products, including a leading mayonnaise brand. 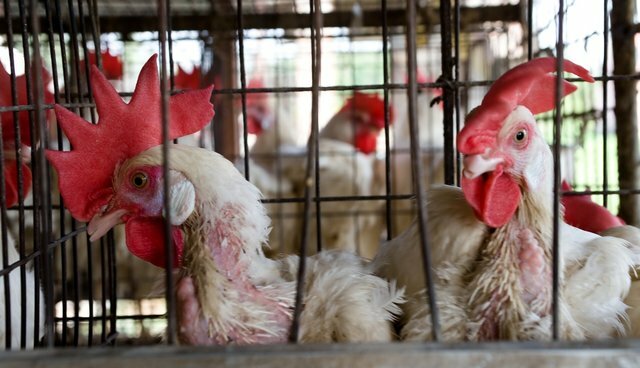 While the company still has a ways to go before getting cage confinement entirely out of its egg supply, this is a decisive step forward to reduce the suffering of tens of thousands of animals. Heinz's commitment, to be outlined in the company's next sustainability report, adds on to its previous announcement that it will cleanse its supply chain over time of pork from gestation crates. Heinz is one of about 60 major food retailers we've seen make announcements on this subject. Just yesterday, I announced that Clemens Food Group, one of the nation's largest pork companies, is eliminating gestation crates in its production systems. Earlier this year, we praised Smithfield and Cargill for similar announcements. And we were pleased that Tyson Foods signaled it is planning to move away from the crates, too. These commitments to ending gestation crates for pigs and cages for hens, coupled with my recent announcements about Unilever's and Nestlé's commitments to improve farm animal welfare, demonstrate that the old model of disregarding the basic needs of animals simply is no longer workable as a business model. The American public just won't go for this sort of extreme treatment of animals, even as they (and The HSUS) recognize that the phase-out periods for intensive confinement methods won't happen overnight. Six years ago this November, The HSUS led the fight to pass Proposition 2 in California – to ban extreme confinement of veal calves, breeding sows and laying hens. That measure takes effect in just over three months, and given the size of California's egg industry, there have been questions about how the industry would make the transition away from battery cages. While we are seeing resistance from some producers, we're seeing more reports that major operators are switching to cage-free systems, which are compliant with Prop 2. I spoke with one major producer that is expanding production, and all of the new facilities will be entirely cage-free. That's the best step for these producers, because as they take this action, they not only align themselves with the law, but with the increasingly high expectations of American consumers. Plaudits to Heinz today for being part of the major movement toward better conditions for animals raised on farms.